What is the difference and which one is the best Ergohuman chair? While looking for a comfortable ergonomic chair, one of the acclaimed range of chairs you may come across is the Ergohuman range. These chairs are popular for their high built quality, extensive range of adjustments, breathable mesh or real leather and good lumbar support thanks to their split-back design. However within the Ergohuman range of office chairs, various models emerge and it can be difficult to choose one over the other. 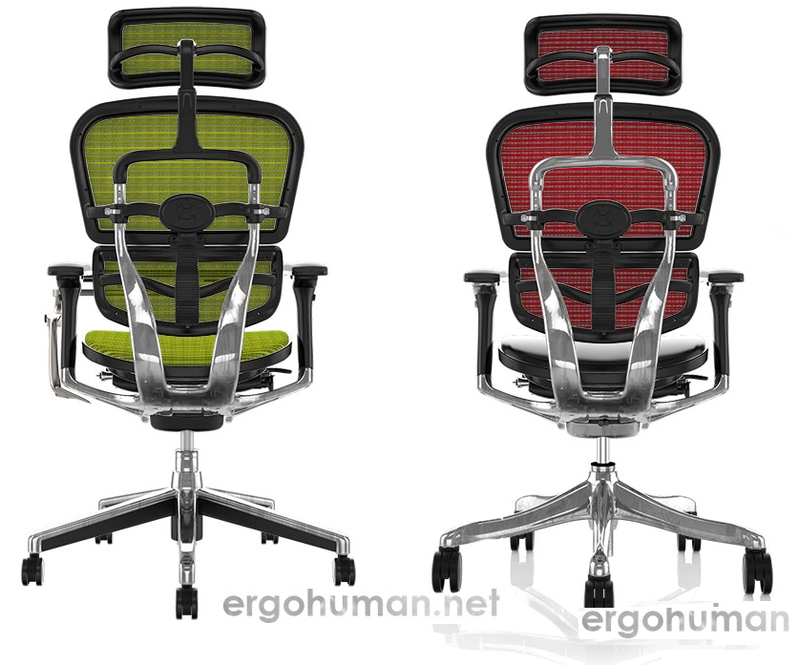 The Ergohuman Plus has a higher price so what are the differences exactly is the question. Everyone wants to choose the right chair depending on their requirements and budget. 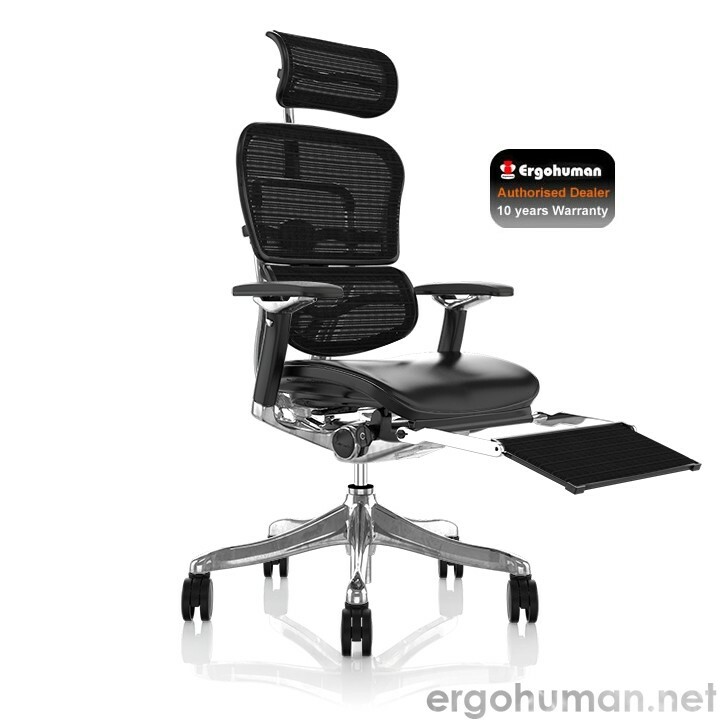 So what are the extra that the Ergohuman Plus chair offers? The Ergohuman Plus Luxury is at the very top in the Ergohuman chair range. The chair has more polished aluminium parts: notably there is polished aluminium under the armrests and all the way up to the headrest. The spider base of the chair (also called star-base) has a curved design unlike the standard Ergohuman which has a straight starbase which is much more angular in design. So overall the Ergohuman Plus looks more stylish and has more shine thanks to the polished aluminium details. However if you have a sore back you may be looking for more than just style and design. Indeed the Ergohuman Plus does have an additional ergonomic adjustment that is not available on the standard Ergohuman. It is called the “seat forward tilt angle” not to be confused with the reclining adjustment that is available on both Ergohuman and Ergohuman Plus – all the chairs are fully reclining. Basically the seat forward tilt angle adjustment allows you to angle the seat part of the chair independently from the backrest so that the seat is at a downward angle at the front edge. This means that you will be able to sit in a slight “alert” position, with the chair slightly lower at the front of the seat. The angle or slope is only a 4 to 5 degrees angle, however this is all you need as sitting at this angle promotes a better and more natural posture. Therefore it is well worth considering stretching a bit further to buy the Ergohuman Plus chair as the investment will last you a long time and a healthy back is priceless. (the chairs come with warranty and replaceable parts). 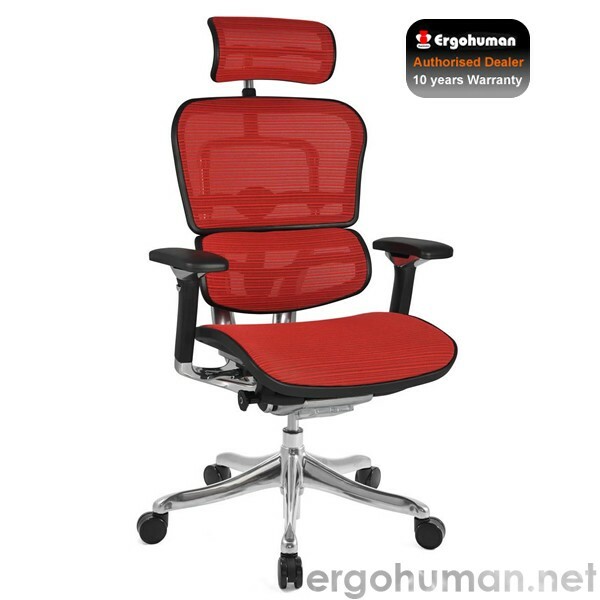 – Ergohuman Plus is also called Ergohuman Plus Luxury (same chairs). 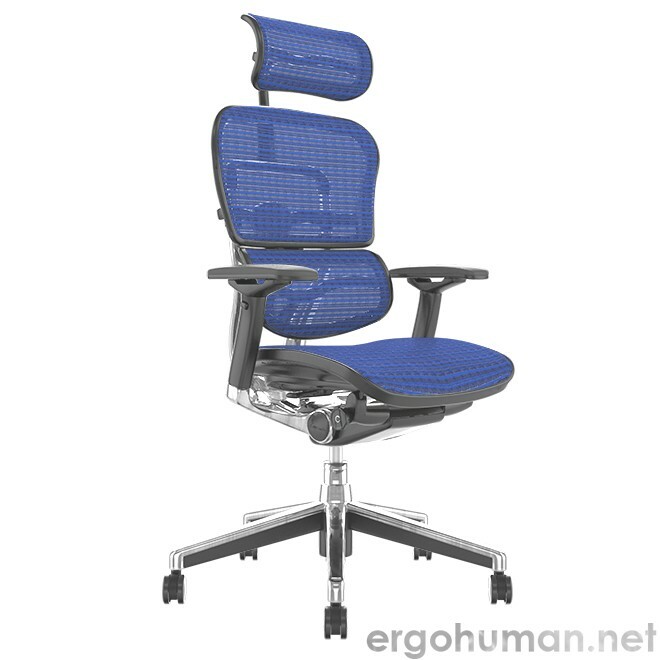 Ergohuman old model: there is another older Ergohuman model easily recognizable by its bulky armrests and usually a black plastic casing under the seat to conceal the mechanism. This is the Ergohuman previous model and the easiest way to identify this chair as an old model, would be the round pad on the elbow parts of the armrests, and the rounded armpads at the front. Sometime these chairs don’t have the combined lever adjustment so they may have more than one lever under the seat as this improvement was added to the later chairs. So if you can afford it, it is well worth choosing the Ergohuman Plus Luxury, if not you still have a very good chair with the Ergohuman Elite. If style design and shine matters then the Ergohuman Plus Luxury Office Chair wins it all round.